This conviction underlies Idy’s work at the Society. As coordinator of its Mutual Support Platform for Families and Caregivers of People with Chronic Illnesses, she helps both recovering patients and their caregivers to become volunteers, serving other patients in need. The experience of patients of chronic illnesses and their caregivers can be turned into a social resource for others. 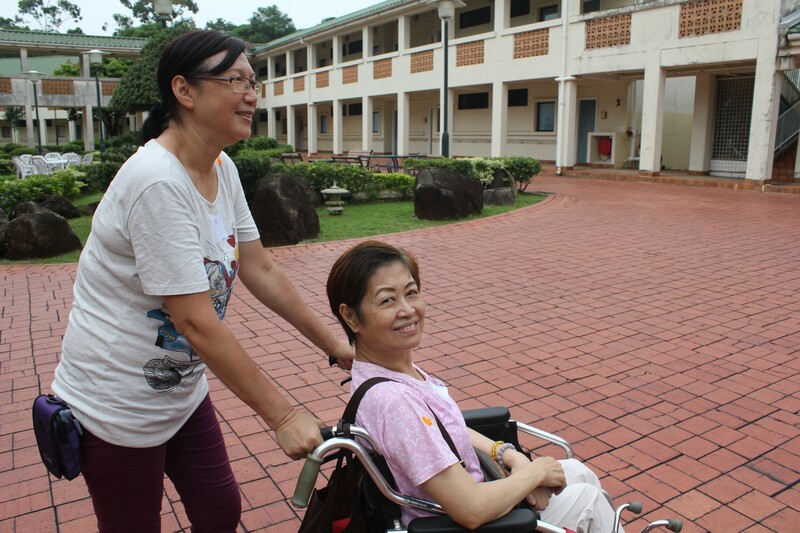 Encouraging volunteers to serve chronic patients and their caregivers isn’t new in Hong Kong. But few programmes also invite the recovering patients and their caregivers themselves to get involved. Ill health can be turned into a resource for society in three ways, Idy says. Second, people who have been through a similar experience bond more easily, and empathy can work wonders for those going through hard times. “No doctor, nurse or social worker will be able to understand the difficulties patients and their caregivers face as well as a person who has been through the same,” Idy says. “A patient may well say to a social worker, ‘What do you know? You’ve never been sick this way.’ But the same patient will find plenty to talk about with a volunteer who shares a similar experience. The Mutual Support Platform hopes that more people can understand caregivers’ need and right to enjoy their life. Their leading by example brings home the powerful message that even in ill health, we have a choice: we don’t have to spend the rest of our days at home, waiting to be served. Some people may think volunteering is something we do only when our life is going well. Recovering patients and their caregivers already have so much on their plate, how can they afford the time and energy for volunteer work? Indeed, volunteers who lead the platform share the belief that helping others gives dignity to life and creates positive energy. They meet once a month. Not only do such meetings deepen volunteers’ faith in the values of respect, tolerance and acceptance, they also facilitate learning. During these sessions, volunteers share their experience of serving others and techniques for communication. They also learn practical tips such as how to push a wheelchair. 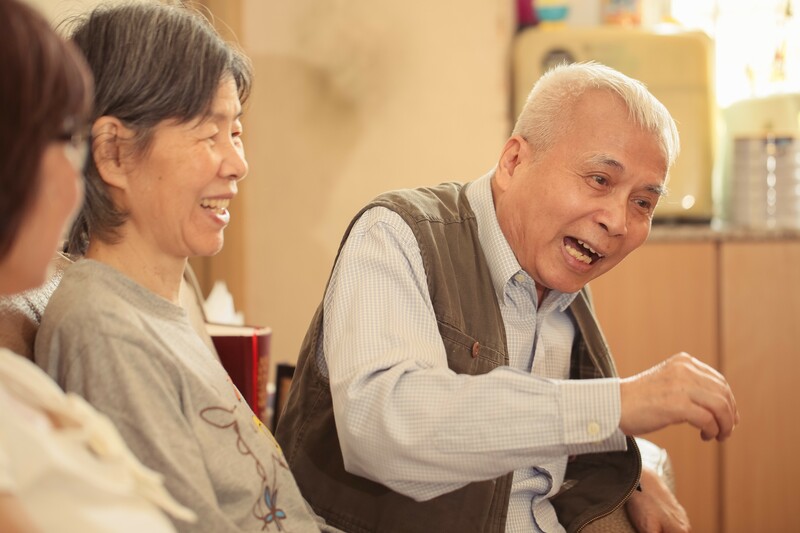 In fact, Idy believes that Hong Kong’s social welfare system should provide such a service, for instance as part of the Social Welfare Department’s Integrated Home Care Services. Unfortunately, such help for caregivers is sorely lacking. Through the promotion of the platform’s values of dignity and respect, Idy hopes that more people will come to see that caregivers have the right and need to enjoy life. The platform’s journey over the years illustrates the challenges and dilemmas faced by caregivers of patients of chronic illnesses, and their urgent need for help. Modernisation has brought many changes to our lives. Today, more people suffer from chronic illnesses than ever before. Advances in health technologies mean we are living longer lives but spending more of our years in ill health. Is a better health care system the answer? And how can we ensure that people with ill health continue to live useful, meaningful lives? We need to rethink these issues to find better solutions, Idy says. Diana had seen people who were older than her suffer a stroke then make a complete recovery, so she was confident she would do the same. But she didn’t realise a delay in seeking treatment would make all the difference: she had waited a whole night before going to the doctor, even though the attack had left the lower part of her face contorted. In the ward, she remembered telling the doctor to hurry up, because she had to meet a client in Bangkok. Her doctor told her: don’t even think about it for at least six months. As it turned out, her recovery was painfully slow, a process she likened to dripping water trying to bore a hole through stone. Still, the single mother of two told herself she must get better; her teenage children needed her and she could not give up. Diana did not get on a plane to meet that client, of course. Soon after she left the hospital, she lost her job. No longer able to afford domestic help, Diana let her helper go. But after the stroke, her arms were too weak to handle a wok and therefore cook, so she had to apply for meal delivery from social services. The arrangement continued for two years until she sold her private apartment and moved into a public rental flat. There were plenty of food shops around her new place and no slope she needed to get around. Having more food options made her daughter so happy, Diana recalls. Life was tough, but it didn’t stop Diana volunteering with the Mutual Support Platform. As a volunteer, she helps to take patients with chronic illnesses to the hospital for their regular check-ups. “I may not be able to cook a meal, but I can surely accompany the patients to the hospital, help them get their medicine, listen to the doctor’s advice with them and report their progress to their family,” she says. “Being a volunteer benefits me too, not just the people I help. Career-wise I may have lost out, but here I feel I can do something worthwhile and be recognised for it,” she says. 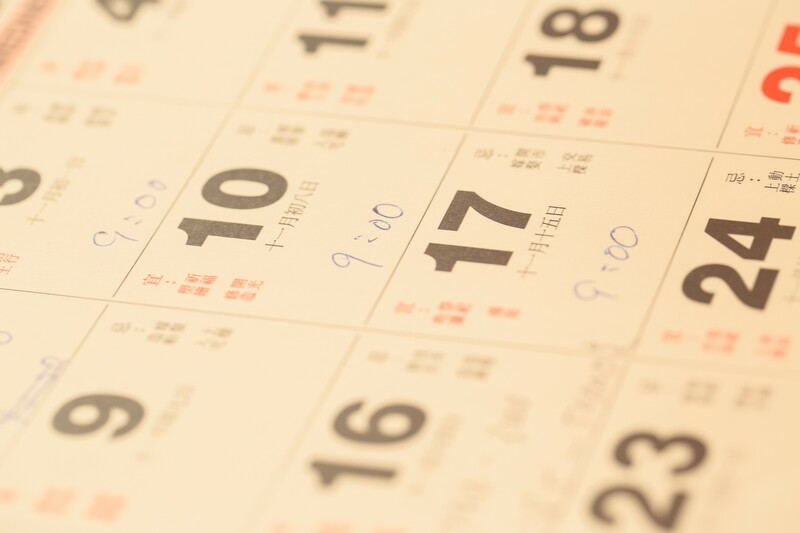 Weekly medical appointments are listed on the calendar. Without help, sticking to the schedule would have been very difficult. 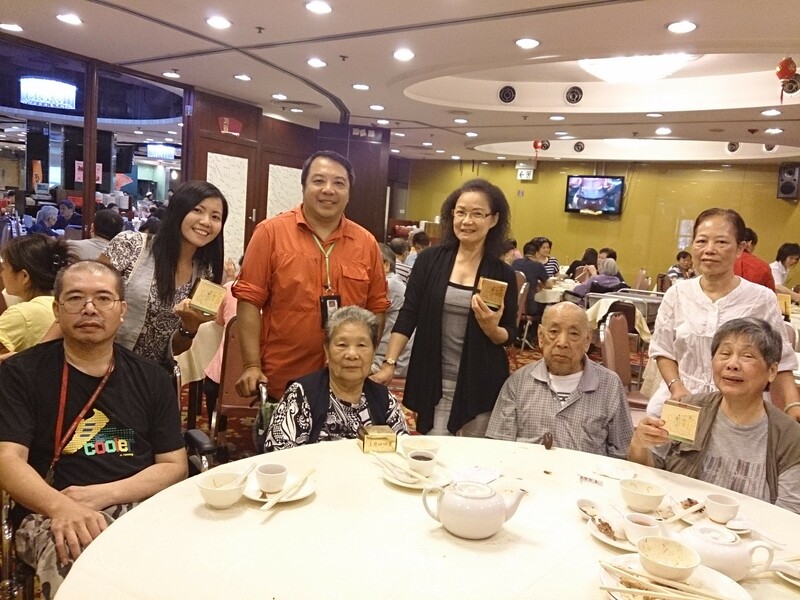 Volunteer Diana (left) with Mr and Mrs Yau, a family served by the Mutual Support Platform. Sticking to this routine is hardly possible now. 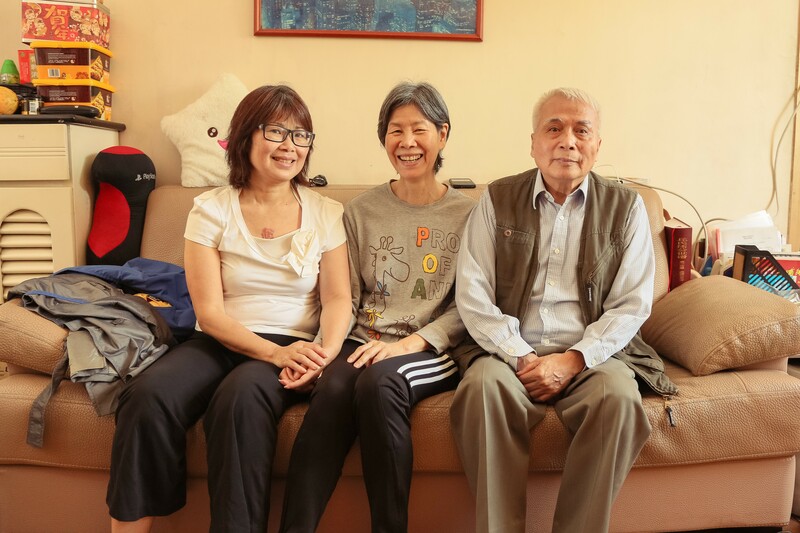 Mr Yau’s wife has Parkinson’s disease while his son works. Besides, the apartment block where the family lives has a long flight of stairs. 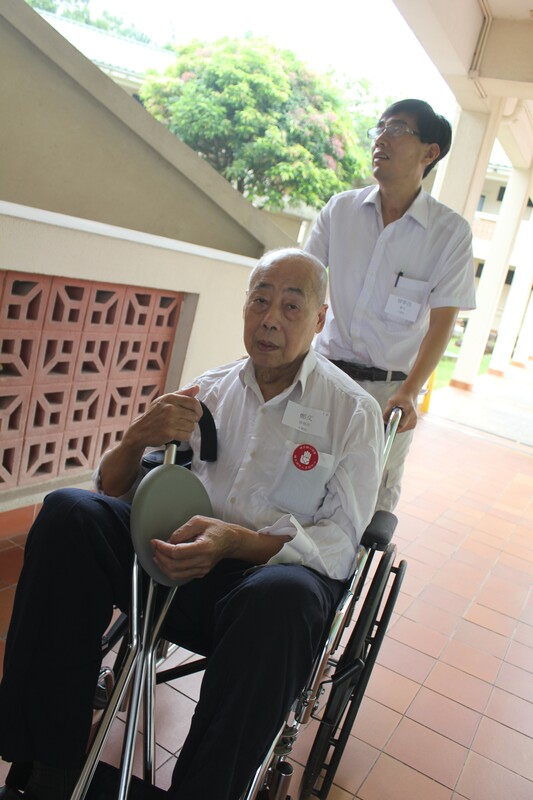 He was introduced to Mr Ng by the hospital. Since then, the Mutual Support Platform volunteer has gone to the flat every week to take Mr Yau to the clinic for acupuncture. After the session comes the real highlight of the day – a trip to the tea house. The two would spend some time there trading jokes and stories. “All the stories I couldn’t tell because I no longer go to the tea house every day, I tell them to him now,” Mr Yau says with a laugh. 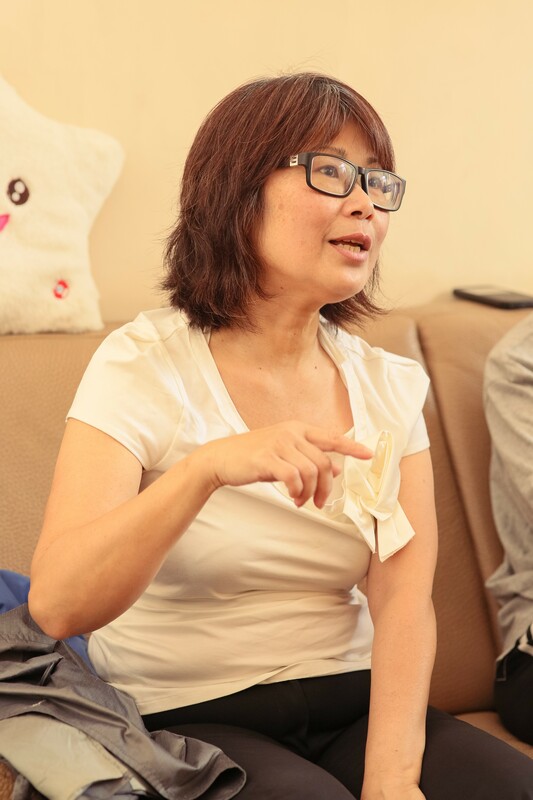 For Mrs Yau, the volunteer’s help has been invaluable. “Honestly I don’t know how I could have coped without him,” she says. To Mr Yau (right), Mr Ng is not only a volunteer, but a new friend. The Mutual Support Platform for Families and Caregivers of People with Chronic Illnesses believes in mobilising patients and caregivers to help one another, so as to share the load of caregiving and provide some relief for stressed-out caregivers. The platform’s volunteers are either living with a chronic illness themselves, or provide care for a loved one who is. Despite these challenges, they have stepped forward to share their experience and give practical help to others who need them. Their enthusiasm for life inspires all who meet them. Take the patients out to visit friends, shop, have a meal, go for a walk, etc. Between 2011 and 2013, the platform has served some 150 people. With its pool of 48 volunteers, the platform has logged a total of more than 800 service visits, with each visit lasting an average of three hours. The Fu Tak Iam Foundation has been sponsoring the platform’s operations since October 2011.